We have been featuring designs from the team this week. So if you missed them check here and here. We wanted to give you some creative ideas for using the dies. So let's get started with the cards for today. Card 1: Our first sample today is from Jeanne Knobbe. 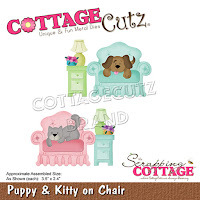 She used the Puppy & Kitty on Chair die to create a cute living room scene featuring this sweet little kitty. Don't you just love the color scheme in this room? The colors are so chic and on trend. Looks like the kitty has found a comfy chair to relax and take a nap. The finishing touch is the sentiment she used. 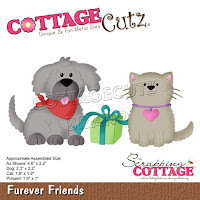 It's so perfect to send that special friend to let her know you value the friendship. And, handmade cards have the ability to make someone's day so special. Card 2: Our next sample is from Sukie Dhillon. 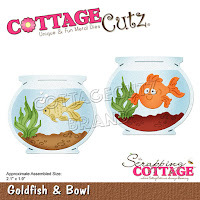 She is featuring the Goldfish & Bowl die on her card. The vellum fish bowl and Glossy Accents on the fish add a realistic appearance to the card. 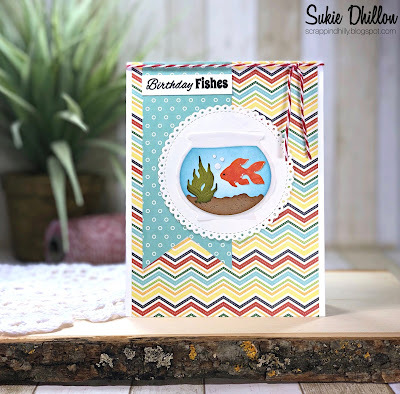 She used the Nested Stitched Eyelet Circle die as the background for the fishbowl. 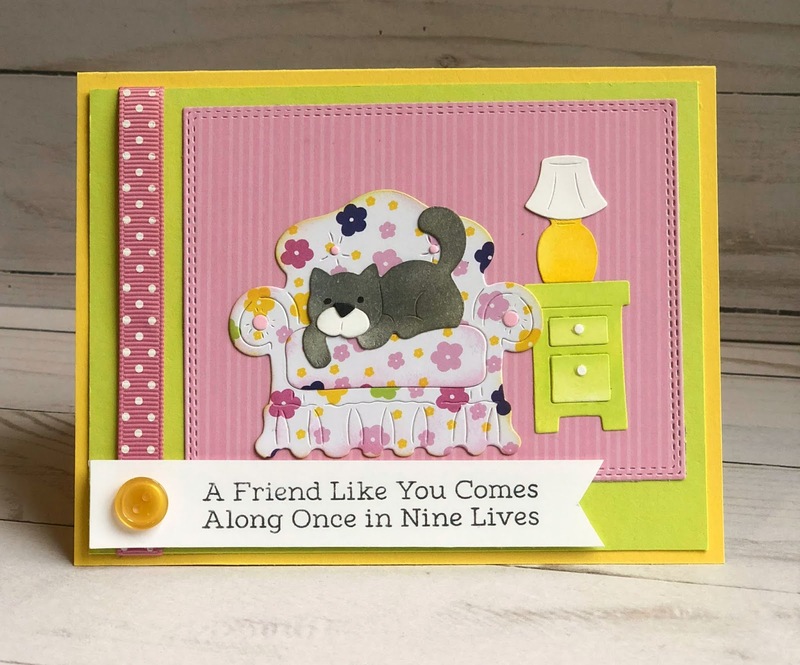 The bright and cheery papers and fun sentiment make this the perfect birthday card. The CAS design makes this an easy card to recreate for a stash of birthday cards. That's our samples for today. I hope the team has given you some inspiration and new ideas for using these dies. Stop by again tomorrow for our final group post using this new release. Card 1: Our first sample today is from Pam MacKay. She used the new Furever Friends die to create this cute and festive Christmas card. To draw your eye to the sweet puppy image, she cut a nested scallop square and turned it to form a diamond shape. His little neck scarf was cut in a striped designer paper to match the Christmas present. 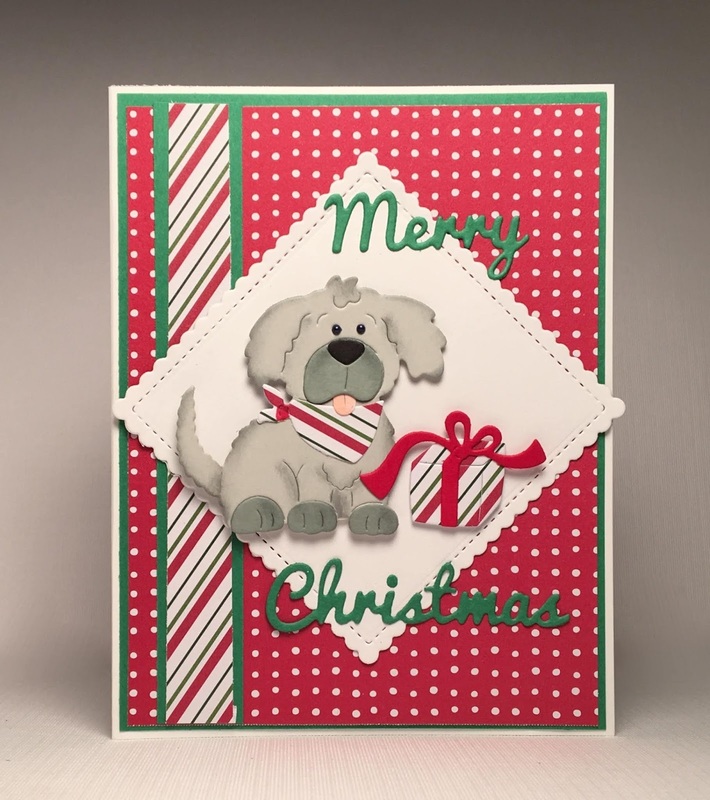 To complete her sweet puppy card she added the Merry Christmas phrase. Maybe you know someone who is getting a puppy for Christmas. A card like this would be a great accompaniment. Card 2: Our next sample is from Jeanne Knobbe. 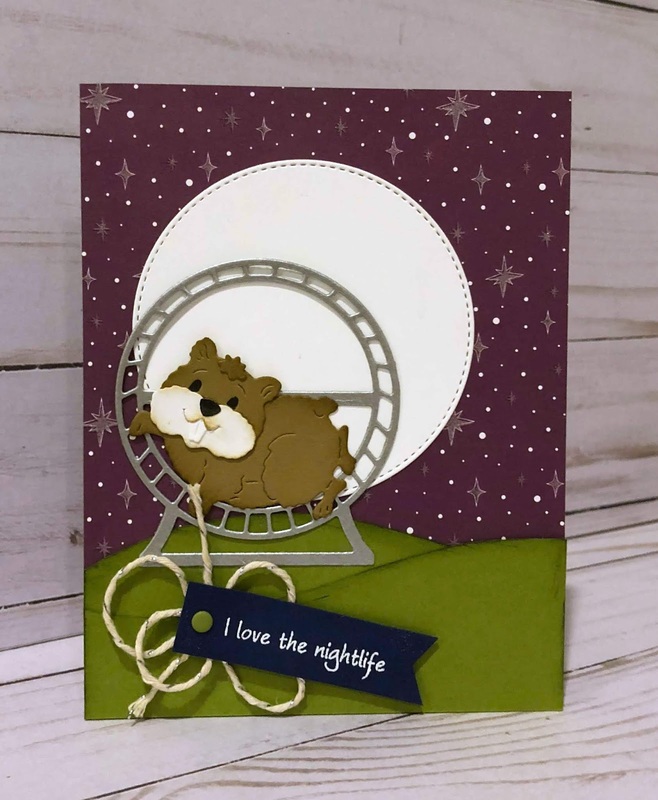 She is showing the Happy Hamster die on her card. 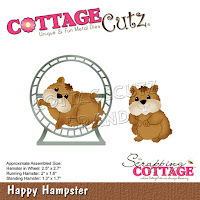 This playful little guy is having a fun time exercising on his spinner wheel. She created a nighttime scene for her bundle of fur because that's when they seem to be most active. She used the stitched circle die for the moon. I just love the punny sentiment. It was heat embossed in white on navy cardstock. That's our samples for today. I hope the team has given you some inspiration and new ideas for using these dies. Stop by again tomorrow for more team samples.